Country Lane Catering understands the importance of making the proper impression in business. We have catered thousands of breakfasts, VIP luncheons, company picnics, employee anniversaries and retirements and holiday parties. We are committed to providing fresh from scratch menus and high quality service, making us your corporate catering connection. Life brings us together for a variety of reasons. Regardless of whether your event is a once in a lifetime moment or an annual tradition, our experienced team will take care of all the details to ensure the memories last forever. Large or small, every event receives our full attention. If you are looking for buffet or plated catering services, we will design a customized menu for you and we can provide coordination of rentals for linens, china, flowers, tables, chairs and tents. I have the pleasure of commenting on the exemplary level of service provided by Stephanie and her staff—in terms of promptness, efficiency, reliability and especially professionalism. 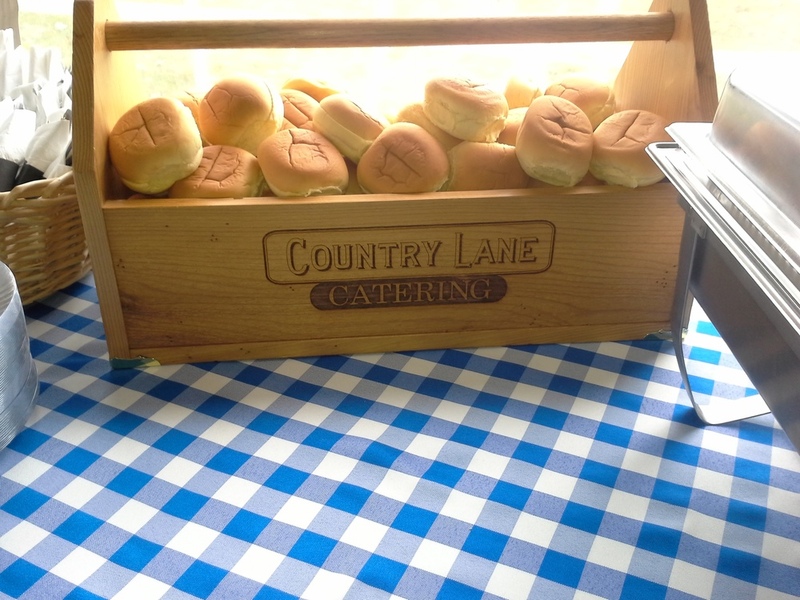 Over the past 3 years Country Lane Catering has been providing exceptional food service to many types of events for Luck Companies. From Executive Corporate Meetings, Anniversaries and retirements. I have always been impressed with the proactive, solution-seeking attitude displayed by everyone within Country Lane Catering. Compared to other catering providers that we have previously used, Stephanie and her team have always accommodated the needs of all requests. What stands out is that the aromas that fill the room, the feel of home cooking—testament to the freshness of foods, quality of ingredients and attention to detail that this company takes to ensure that hot foods arrive hot and cold foods cold. In the pursuit of ever-improving their business, the revamping of their menu design has allowed for greater flexibility of choices. In summary, Stephanie and everyone at Country Lane Catering work with passion to provide FRESH food that all enjoy. At Country Lane Catering, we are committed to providing fresh from scratch menus and high quality service. When you choose Country Lane Catering you will enjoy timeliness, superior customer service and excellent value. We don’t have hidden fees or automatic gratuities and we have a variety of menu choices. Our pricing is based on the chosen menu items, style of service and location of venue. Most of our menu items are prepared fresh from local products and therefore pricing can vary depending on the season. Our event planners can work within your budget to ensure the best menu for your event. Special Requests Are Welcomed.